Everyone must have at least once in his life had a toothache. This condition will usually cause headaches, painful gums, and even eating becomes painful. If you are having a toothache, you should immediately visit a doctor. But in the meantime, there are several ways to treat tooth pain that you can do as first aid before going to the doctor. Anything? Check out the most effective selection of toothache drugs in this article. Having sensitive teeth can be the reason you often experience a toothache. Usually, people who have sensitive teeth will feel sharp pain every time they eat or drink something hot or cold. Sensitive teeth can be caused due to gum recession (gum line recedes to cause the root surface of the tooth to open) or thinning of tooth enamel. In addition, dental care such as rotting teeth, braces or dentures, can also cause your teeth to become sensitive. In many cases, growing wisdom teeth will usually make your teeth hurt. Wisdom teeth often grow in unwanted positions or crammed in a place that is too crowded, so that it can cause throbbing pain accompanied by sudden sharp pain attacks. People who have gum disease are very susceptible to toothache. Gum disease occurs because there is a buildup of dental plaque around the gums. This makes your gums inflamed. Inflammation caused by bacteria in the plaque can be painful because it causes your gums to swell, red, and bleed. If this condition continues, you will experience gingivitis. When you have gingivitis, you run the risk of experiencing more serious gum disease and will increase your chances of experiencing toothache repeatedly. Dental caries, aka rotten teeth, is another cause you often experience pain in your teeth. Small cavities in the outermost layer of teeth (enamel) usually do not cause pain, but once decay redeems through tooth enamel and affects the inner layer of the teeth (dentin), the teeth will become very sensitive. If left unchecked, this condition then leads to the formation of a tooth hole. In advanced dental caries, decay goes deeper, down to the deepest layer of teeth (pulp), which results in intense intense pain. This infection from tooth decay can cause tooth death and cause abscesses (clots of pus) under the root of the tooth. This infection can spread and cause more severe tooth decay and gum disease. Do you have the habit of grinding your teeth while sleeping? From now on, this is a bad habit. The reason is, the habit of grinding teeth can cause nerve damage, which in turn causes complaints of pain in your teeth. Most people can not realize they are doing this habit, especially during sleep. In addition, emotional stress and tension are the main causes of the habit of grinding teeth. If your teeth have become more sensitive lately, become yellower or the surface is flat, or you wake up with dull pain behind your head or jaw, you might grind your teeth in your sleep. Sometimes, you may experience pain in your teeth but the root cause is not clear. In fact, pain in the teeth does not originate from perforated teeth or certain gum diseases. Pain in the teeth for no apparent reason that causes blunt pain can indicate your teeth are cracked or broken, which may be too small to be seen by the naked eye. Tooth fractures may occur due to poor chewing habits, grinding teeth, tooth injury, weakening of teeth due to large fillings, and so on. When the cracks are severe, the nerves that might be affected can cause painful pain. Tooth cracks can be an alternative where bacteria gather, creating infections that cause further damage and dental problems. When your tooth fillings are loose or near the area of ?? new tooth decay, patches can break, break, or wear out. You may experience sharp, drowning pain when biting the area. You might also find that the affected tooth area is very sensitive. If you have recently been injured in the jaw and skull joint joints (temporomandibular joints), you may be able to feel pain around your teeth. This jaw trauma can also be caused by the habit of grinding teeth, arthritis, or oral cancer that affects the jaw. One of the causes of toothache that is less common, but also equally important is sinusitis. Your upper back teeth share the same nerve as the sinus cavity. As a result, the pain that is present may be caused by teeth or vice versa. This sinus pain is usually accompanied by a blocked nose, and pain around the nasal cavity. If you experience toothache due to cavities, the best solution is to immediately seek treatment from your dentist. However, there are several ways to treat simple tooth pain that you can do as first aid before going to the doctor. Here is a natural toothache remedy that you should know. Generally, dentists cannot do any treatment when your teeth are still problematic. The only thing you can do right now is to use a toothache medicine until your teeth can be acted on by a doctor. Well, try rinsing it with salt water until you feel the pain has improved slightly. Gargling salt water is a way to treat toothache that you should try at home. In fact, some people consider if salt water is the most effective toothache medicine to relieve pain. As a medicine for cavities, you can dissolve � teaspoon salt into one glass of water (240 ml), and rinse it for a few moments. Before gargling, you can also do flossing to remove the remaining food that is blocking around the area of ?? the tooth that is sore. Shallot is a natural toothache remedy. Because the onion has antiseptic and antimicrobial properties that can control pain by killing bacteria that cause tooth infection. How to treat toothache with red onion is to chew it. Yes, chew raw shallots for a few minutes on the side of the mouth with soft teeth. If you can't chew onion, place the raw shallot slices directly on the affected tooth. How to treat toothache with ice cubes can be done by inserting ice cubes in small plastic, then wrap with a thin cloth, and stick directly to the aching teeth for 15 minutes to shake the nerve teeth. 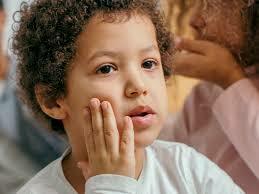 Or, you can stick an ice pack on your cheek, in the area of ?? the tooth that is aching as a way to get rid of toothache. There is one other interesting trick that you can try if you want to use ice cube as medicine for cavities. Massage the back of your hand with an ice cube compress. The nerves in your fingers will send a "cold" signal that might overtake the pain signal from your tooth. Another way to treat toothache is to use kitchen vinegar or apple vinegar. Because the two types of vinegar contain antibacterial and antimicrobial properties that are effective for relieving toothache. If you want to use vinegar as medicine for cavities, you can rinse your mouth with a solution of vinegar in the affected area for about 30 seconds. After that, immediately discard. If you are not strong with a sour taste from vinegar, you can add vinegar to a cotton swab and stick the cotton to the affected tooth. After that, brush your teeth as usual with special toothpaste sensitive teeth. Clove oil is a traditional medicine that has long been used as the most effective medicine for toothache. This oil is allegedly able to help "turn off the nerves" because the main chemical compound contained in this herb is eugenol, which acts as a natural anesthetic. But, be careful when using clove oil as a medicine for cavities. It's unfortunate to pour clove oil in your mouth, it might make the pain worse if the oil drips onto your tongue or your sensitive gums. So, pay close attention to how to treat toothache with the following clove oil. Pour two drops of clove oil on a cotton ball and stick it on the troubled tooth until the pain subsides. You can also use whole clove powder or cloves and stick to the diseased teeth as an alternative choice for cavities. Red guava leaves can relieve pain in the teeth due to the anti-inflammatory, analgesic, and antimicrobial properties contained therein. How to treat this one toothache is to chew one or two guava leaves until the extract comes out. After that, with your tongue, reach for the aching tooth and apply the guava leaf extract. If it is difficult to treat toothache, you can boil four to five guava leaves as another option. Let the solution sit for a while until it cools and add a pinch of salt. Use the guava leaf solution as a mouthwash. In many cases, NSAID drugs can help you relieve pain in your teeth. One of the commonly used painkillers for NSAIDs is acetaminophen. or also known as paracetamol. Acetaminophen is not only the most effective toothache medicine, but can also be used to relieve headaches, muscle aches, back pain, fever, and flu. However, if you experience serious problems with the liver and allergies, you are not recommended to take this type of toothache medication. Before using acetaminophen as medicine for cavities, make sure you read how to use it first on the packaging label. Like acetaminophen, ibuprofen also acts as the most effective tooth pain medication that is also available in the form of tablets, caplets, and syrup. But be careful before using ibuprofen as medicine for cavities. Because the use of the drug ibuprofen exceeds the prescribed dose limit, it is not proven to be more effective in relieving pain. So, make sure you always read the instructions for using the drug along with the recommended dosage before taking this medicine. If the pain has disappeared, you should stop using this medicine. Avoid taking ibuprofen on an empty stomach because it will make the stomach become injured. Naproxen is a painkiller that is also often used to treat toothache. The most effective toothache medicine is available in tablet form in a dose of 220 mg. An example of the drug brand Naproxen is Xenifar. Unfortunately, you must be aware of the side effects of these cavities. Some common side effects that often occur when taking this medicine are abdominal pain, mild heartburn, diarrhea, constipation, flatulence, headache, itchy and reddened skin, and blurred vision. If you want to have an operation, including dental surgery, it's best to let you know that you are using naproxen.